Manu in front of a tiny door. Could Miriam Mouse live here? 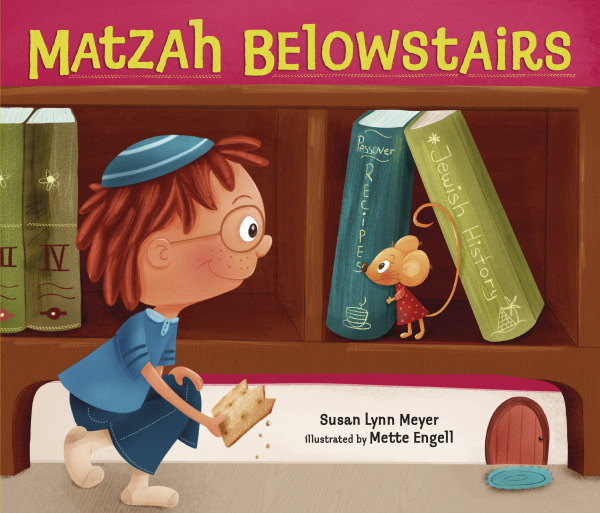 My friend Susan Lynn Meyer (previously interviewed for her novel Black Radishes) has a new picture book just in time for Passover! 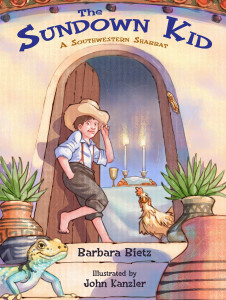 MATZAH BELOWSTAIRS (Kar-Ben) is a delightful story about a charming little mouse family whose lives Belowstairs. They are eager to celebrate Passover, just like the Winkler family who lives Abovestairs. But Miriam Mouse is struggling to forage for matzah. What will she do? 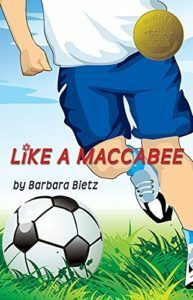 MATZAH BELOWSTAIRS is a perfect selection for young readers. It’s engaging and fun, and the illustrations showing the two levels of homes are adorable and super kid-friendly. 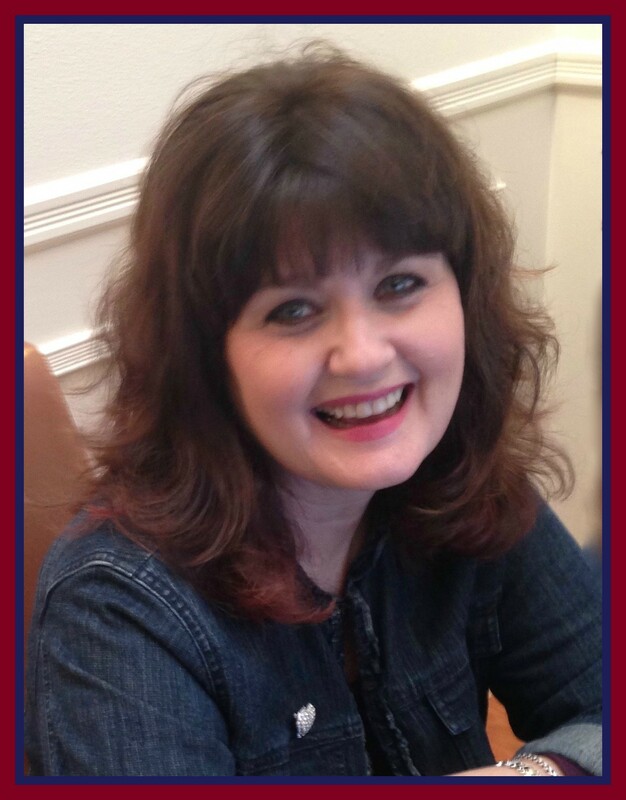 Tell me a bit about your new book and what inspired the creation of a mouse family that wants to celebrate Passover? I love idea of Abovestairs and Belowstairs – which (I think) creates a folktale feel to your story. Thank you! I was thinking too of British servants—and that the Mouse family is dignifying their job by thinking of themselves as cleaning up after the Winkler family! What were your thoughts when you first saw the illustrations by Mette Engell? Do you have any unique family traditions on Passover? I also tend to engage in an unsuccessful annual attempt to replicate the almond macaroons (no coconut) that I remember from childhood. My grandmother, who was born in Alsace and lived in New York, used to mail my dad a Passover box, wrapped in brown paper and tied with string, containing her homemade French almond flour Passover cake and delicious macaroons she bought from a bakery. I assume they were from somewhere in Manhattan. I’ve tried with many recipes to replicate those macaroons, but they never come out quite as soft, chewy, and delicious. Do any New Yorkers out there know what bakery my grandmother might have purchased her macaroons from? I’ll mail-order them if I can find out! I so want that taste of childhood back! One last question: How is this book different from all your other books? Ah, good question! This is my fifth book for children, and for the first time one of my books is being described as “funny.” I wasn’t aiming for that—I would describe it as whimsical, playful, and magical. But I’m glad to have it called “funny”! To me, it also seems more joyous and free than my earlier books. My child, when small, was very imaginative and magic-loving and used to envy Christian holidays associated with magical creatures, namely Santa and the Easter Bunny. 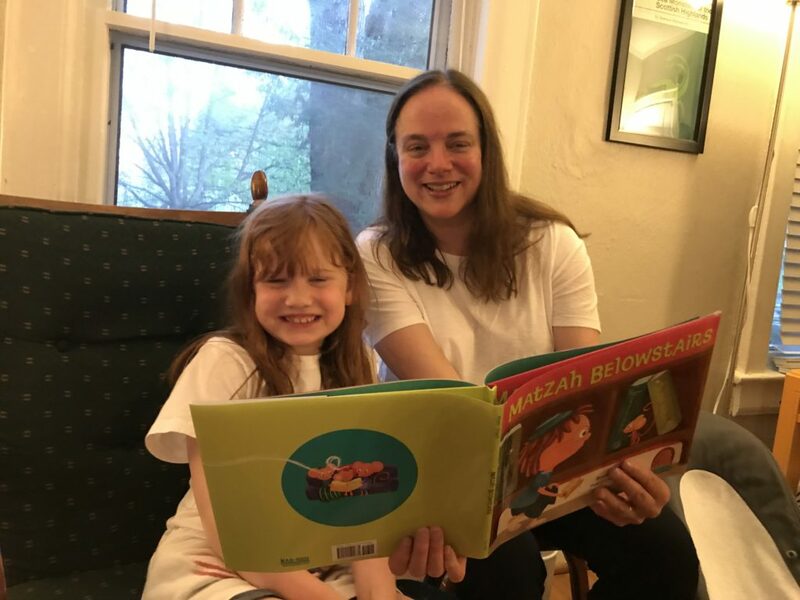 I hope MATZAH BELOWSTAIRS will make such children happy—Eli Winkler has a magical, talking mouse living just below his apartment who celebrates Passover! A few days ago, a mom from Atlanta emailed me this wonderful photo of her little one, Manu. She had read Manu MATZAH BELOWSTAIRS in preparation for Passover. 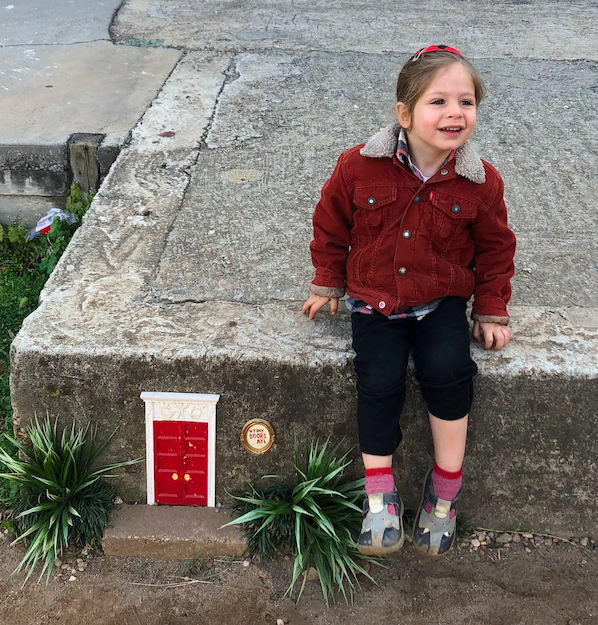 Then last week Manu discovered this tiny door, part of the Tiny Doors Atlanta art project, in the Beltline, Atlanta’s reclaimed railway park. Manu proceeded to tell his mom a long story about this door being the entrance to Belowstairs, where Miriam Mouse lives. He explained that he was passing bits of matzah through the tiny door to Miriam’s family, so that they could celebrate Passover. Getting email like that is one of the reasons why I love writing for children! How sweet. Thank you for highlighting this new Passover book.